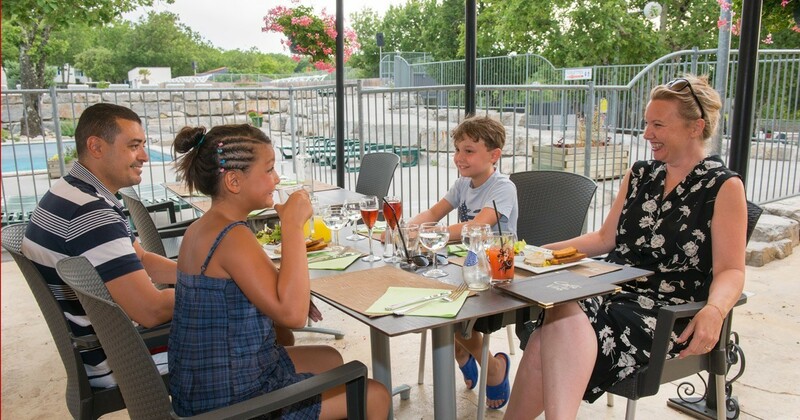 Staying at the 5 star campsite Sunelia alum vacation is to enjoy a high-end accommodation solution that is not far from the best tourist attractions in this Area. It is also to enjoy a holiday destination in its own right which has everything you need to spend pleasant stays in a place made for families, groups of friends, couples etc. In fact, you will have at your disposal various services that are designed to make you easier the daily in this Campsite. You only have to make a rental of a bare location or a location with rental to benefit from it. All shops and services available at Camping Aluma holiday are open from Monday to Sunday from the opening until the closing of the Campsite. If you plan to prepare your own meals, you will have at your disposal a grocery store that has a bit of everything you need every day. Fresh local products are Available. You will also find other products of common Use. So you can vary your ingredients every time. If you wanted to feel even more at home, you could even take the newspaper in the press Department. Postcards are also available if you wanted to share with your pockets that could not come with you on Vacation. And even if you had forgotten the basic holiday equipment such as flip flops or swimsuits, you could buy them in the camping shop. And every morning you can have pastries and fresh bread for your breakfasts. In addition, if you wanted to stay connected during your stay, you will have an Internet connection via wifi that captures in the whole Campsite. You will have the choice between the free formula but which is limited or the formula paid in Unlimited. You can use it to check your e-mails, to communicate with your loved ones, to share with the surfers your experiences at camping etc. But you can also use the Internet connection to see the weather, learn about the outdoor activities you can do in the area etc. You will be able to connect to your computer, tablet or smartphone. Camping Sunelia Aluma Holiday also offers sanitary facilities in common for traditional campers who rent bare sites. Everyone can also use laundry, washing machines and Dryers. You can take the washing and drying chips from the Reception. On the entire estate you will find group Barbecues. You will only need to bring your grid (38x55cm) and Coal. With the reception of the campsite, all customers and clients are also entitled to a corner info. This is a place where you can find out about camping, what you can do but also the AREA. Information about places to visit or activities to do are also available at the info corner. The campsite puts barbecues at your disposal, spread over the property. You only have to bring your own gril (38x55cm) and charcoal! Washing machines and dryers are also at your disposal, laundry coins are on sale at the reception.